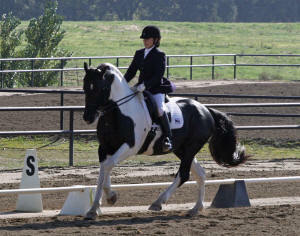 Rachel is a talented rider and trainer with an incredible natural feel for what is correct in training a horse. She has started four young horses for me, as well as helping me with my upper level stallion. The horses always go so well when she is riding them, and they seem very happy in their work. It is really wonderful to get on a young horse she has started, because they feel forward, confident, safe, and sane. 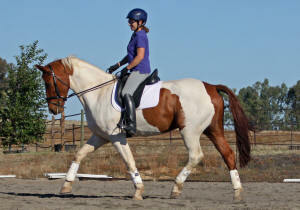 She is also a positive and helpful instructor, and has helped me fine tune my riding aids. Rachel is also a very positive person, which makes her a pleasure to work with!